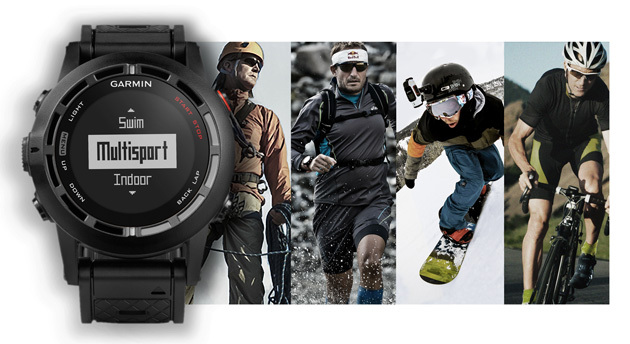 Wellcome and Thank you for visiting the biggest online store for SPORT WATCH GPS ! Enjoy the Shopping with us ! or go to CONTACT US at the bottom of our website and use the CONTACT FORM to send us an email. We are actually real human that will answer you 24/7. Just send us email to get a quick response. Are you tired of getting slow results without Smart GPS watch? If so we have the solution for you ! This is a professional smart gps watch top of the line and designed EASY TO USE and it is recommended for all type of sportsmen: advanced , intermediate and beginner sportsmen. Having the Best Smart GPS Watchs and Software - Having the Best Sport Personal Trainer on your wrist will give you faster and better results. GARMIN FORERUNNER 920XT *** TRIATHLON GPS WATCH *** GPS Multisport Watch - Red Mult..
GARMIN FORERUNNER 920XT *** TRIATHLON GPS WATCH *** GPS Multisport Watch - Blue Mul..
GARMIN FORERUNNER 920XT *** TRIATHLON GPS WATCH *** GPS Multisport Watch - Black Mu..
*** 2-YEAR WARRANTY SPECIAL OFFER *** Garmin Fenix 3 HR Built-..
*** 3-YEAR WARRANTY SPECIAL OFFER *** Garmin Fenix 3 HR Built-..
*** 3-YEAR WARRANTY SPECIAL OFFER *** SPECIAL BUND..
*** 3-YEAR WARRANTY SPECIAL OFFER *** SPECIAL BUNDLE OFF..
*** 2-YEAR WARRANTY SPECIAL OFFER *** SPECIAL BUNDLE ..
*** 2-YEAR WARRANTY SPECIAL OFFER *** SPECIA..
*** 2-YEAR WARRANTY SPECIAL OFFER *** Garmin Fenix 2 MultuiSpo..
*** 3-YEAR WARRANTY SPECIAL OFFER *** Garmin Fenix 2 MultuiSpo..
*** 3-YEAR WARRANTY SPECIAL OFFER *** Garmin Fenix 5S Plus Sapphir..
*** 2-YEAR WARRANTY SPECIAL OFFER *** Garmin Fenix 5S Plus Sapphir..
*** 3-YEAR WARRANTY SPECIAL OFFER *** Garmin Fenix 5 Plus Sapphire..
*** 2-YEAR WARRANTY SPECIAL OFFER *** Garmin Fenix 5S Silver w..
*** 3-YEAR WARRANTY SPECIAL OFFER *** Garmin Fenix 3 SAPPHIRE ..
*** 2-YEAR WARRANTY SPECIAL OFFER *** Garmin Fenix 3 SAPPHIRE ..
*** 2-YEAR WARRANTY SPECIAL OFFER *** Garmin Fenix 5 Plus Sapphire..
*** 2-YEAR WARRANTY SPECIAL OFFER *** Garmin Fenix 5 Silver wi..
*** 2-YEAR WARRANTY SPECIAL OFFER *** Garmin Fenix 5S White wi..
*** 3-YEAR WARRANTY SPECIAL OFFER *** Garmin Fenix 5S White wi..
*** 2-YEAR WARRANTY SPECIAL OFFER *** Garmin Fenix 5 Slate Gra..
*** 3-YEAR WARRANTY SPECIAL OFFER *** Garmin Fenix 5S Silver w..
*** 3-YEAR WARRANTY SPECIAL OFFER *** Garmin Fenix 5 Slate Gra..
*** 3-YEAR WARRANTY SPECIAL OFFER *** Garmin Fenix 5 Silver wi..
*** 2-YEAR WARRANTY SPECIAL OFFER *** ..
*** 3-YEAR WARRANTY SPECIAL OFFER *** ..
*** 3-YEAR WARRANTY SPECIAL OFFER *** + HEART RATE MONITOR ..
*** 2-YEAR WARRANTY SPECIAL OFFER *** Garmin Fenix 3 HR Sapphi..
*** 2-YEAR WARRANTY SPECIAL OFFER *** Garmin..
*** 2-YEAR WARRANTY SPECIAL OFFER *** Garmin Fenix 5 SAPPHIRE ..
*** 3-YEAR WARRANTY SPECIAL OFFER *** Garmin Fenix 5 SAPPHIRE ..
*** 2-YEAR WARRANTY SPECIAL OFFER *** Garmin Fenix 5x SAPPHIRE..
*** 3-YEAR WARRANTY SPECIAL OFFER *** Garmin Fenix 5x SAPPHIRE..
*** 2-YEAR WARRANTY SPECIAL OFFER *** Garmin Fenix 5S ..
*** 3-YEAR WARRANTY SPECIAL OFFER *** Garmin Fenix 5S ..